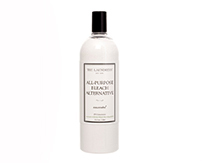 This non-abrasive, environmentally-friendly laundry ‘booster’ is a fantastic alternative to chlorine bleach. It is colour-safe, so you can use it to whiten and brighten your laundry. Mixed with Stain Solution, it can even remove perspiration stains. It can be safely mixed with other Laundress products. This allergen-free detergent keeps your baby’s laundry and soft toys clean and smelling fresh. It is a soft and calming blend of vanilla, musk, lily of the valley, lavender and sandalwood. It’s effective in all water temperatures and is tough on stains. Blend it with stain solution for extra power. The Delicate Wash is gentle, yet effective. It is designed to remove perspiration, body oils and stains from silk, blends, fine cotton, polyester, rayon, nylon and other synthetic blends. This is a blend of detergent, fabric conditioner and ‘color-guard’. It cleans, softens and preserves the colour of the denim, but gives the fabric that perfect worn-in feeling. This product is formulated to reduce drying time. It eliminates static-cling too. Fabric conditioner also prevents wrinkles and keeps clothing soft. It is formulated from a base of canola oil, so is the ideal companion to other Laundress products. 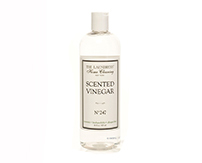 We love vinegar and all it does – it’s a natural deodoriser and sanitiser. However, with the 247 scent combined with 100% vinegar, it smells divine. Signature detergent was developed for those people who are serious about caring for their clothes and linens. It is a triple-concentrate product. We recommend that the amount can be halved for the Canberra region, because of the soft water. Signature Detergent’s natural surfactants, stain-fighting enzymes and scent will win you over forever! 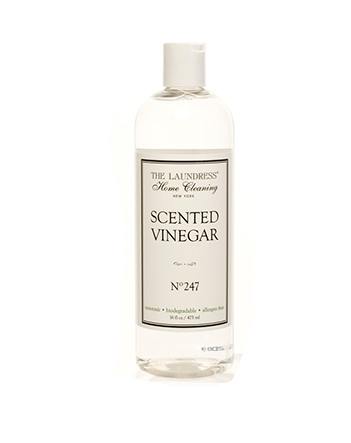 Classic scent is the ultimate ‘clean laundry smell’, blending lily of the valley, citrus, jasmine, musk and sandalwood. Here it is – the detergent to keep your swimwear, sport, and high-tech clothing clean and smelling fresh. It removes perspiration, body oils, odour and stains from spandex, nylon, synthetics and cotton. 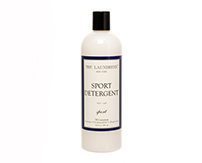 The Laundress and Le Labo combined to blend the finest of modern perfumery (Rose 31 fragrance) with the best performing detergent formula. This is luxury laundry. 3x concentrate. The Laundress and Le Labo combined to blend the finest of modern perfumery (Santal 33 fragrance) with the best performing detergent formula. This is luxury laundry. 3x concentrate. The Laundress Travel Pack includes everything you need to make life easier and happier when you are away from home. You can freshen your hotel room, remove oil stains from your business suits, wash your favourite cami and separate your dirty laundry from your clean using the re-usable laundry bag. We feel very strongly about the proper care of beloved woollens, cashmere and blend clothing items. This shampoo is made from a blend of cedar extracts and a highly concentrated shampoo base. It cleans and preserves the natural component of yarns. Yes you can (and you should) wash your wool and cashmere items, using this safe, toxin free and wallet-friendly alternative to dry cleaning.